Today’s the day! 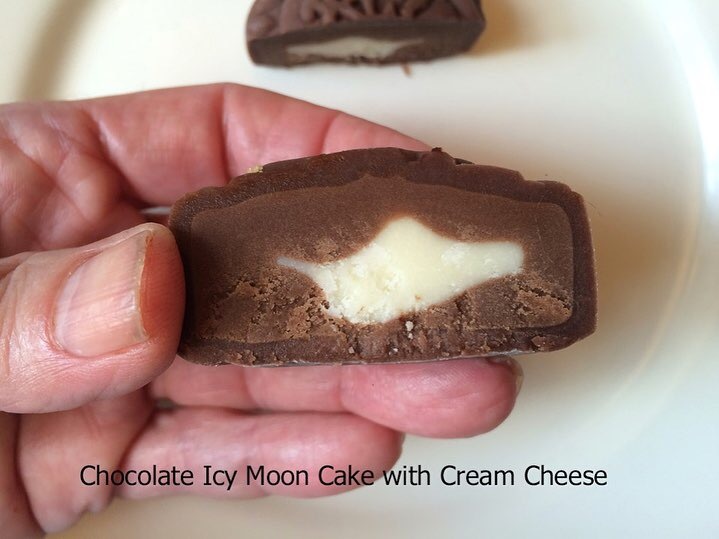 In addition to the traditional mooncakes that abound in almost every Chinatown bakery for Mid-Autumn Festival, you might see these trendy versions that hail from Hong Kong. 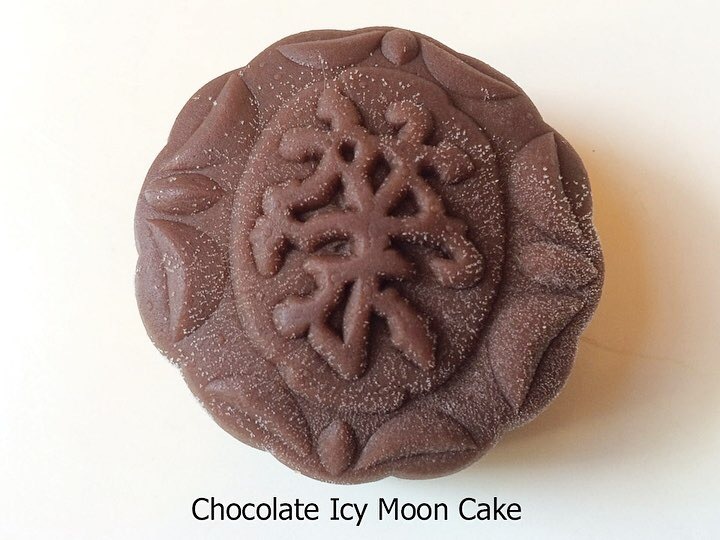 Think mooncake meets mochi: rather than dough-based and baked, the skins are almost like the sweet Japanese glutinous rice cake, but not quite as chewy. 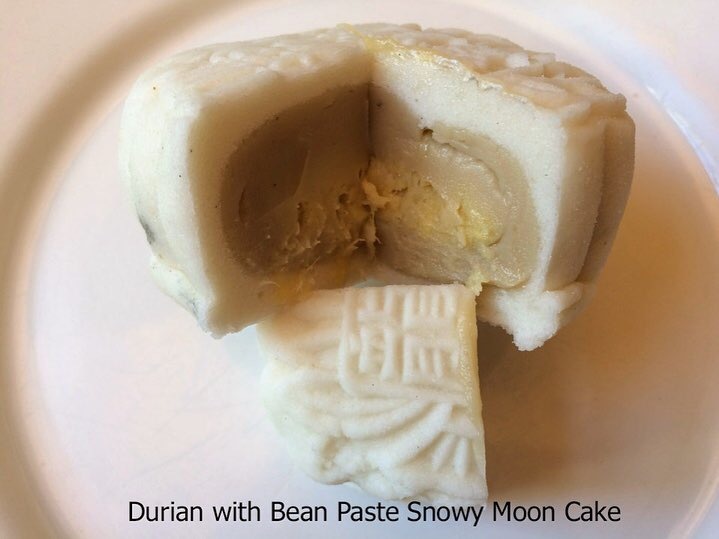 These snowy and icy mooncakes must be kept chilled. Here are four of the many delicious varieties. The snowy flavors are contemporary: strawberry, mango, orange, pineapple, honeydew, peach, peanut, taro, chestnut, green tea and red bean; one version featured durian flavored sweet bean paste with bits of the fruit, enveloped by a skin of almost almond paste texture and flavor. Icy mooncakes come two to a box with imaginative flavors like pandan bean paste with chocolate pearls (tiny crispy, candy bits, crunchy like malted milk balls, but probably puffed rice), dark chocolate bean paste (the skin is like mochi with chocolatey paste on the inside and a piece of dark chocolate or a bit of cream cheese nestled within), durian, mango, blueberry, custard, chestnut, black sesame, strawberry, and cherry. 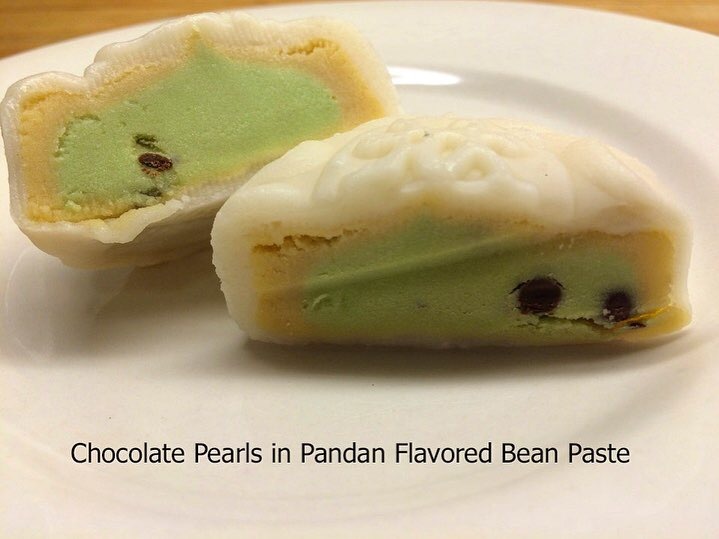 To learn more about the holiday and these delicious treats, please check out my Chinese Mooncakes Demystified post. This entry was posted in Instagram, Sweets and tagged Chinese, Holidays by Rich. Bookmark the permalink.